No doubt. But I think the good doc has more than enough on his plate! until I get my sets I ain't asking him to do anything else! Im surprised Dr. Wu hasnt put out something yet. They have all those other weapons in red and black, it would fit right in. Agreed. 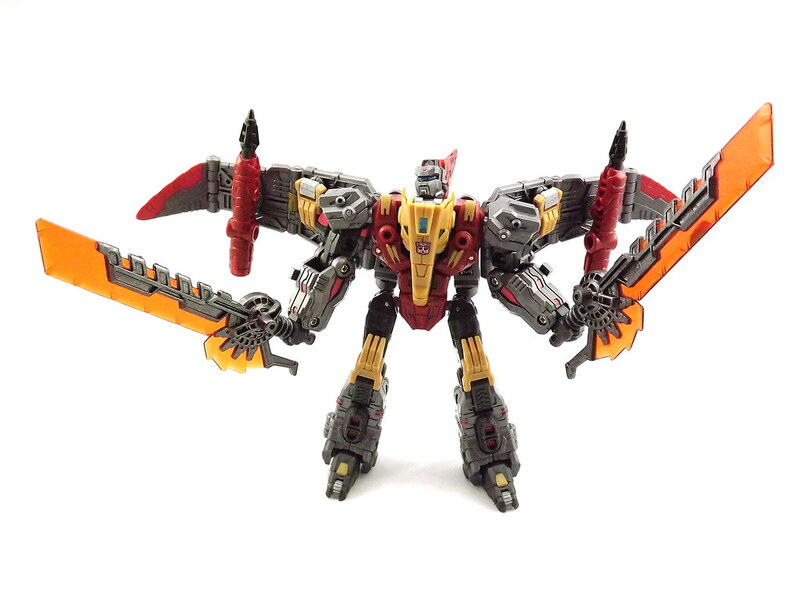 They should include two extra clear versions of Swoop's swords with Grimlock. Well as draconious380 suggested I gave Caelus two Grimlock swords (1 Hasbro and 1 platinum version). Had to do some painting to get them to match but they turned out ok.
IMO they seem a little big on Caelus but I'll let you be the judge. If someone was to release the actual swords in clear red for Caelus I would be so happy! They do look a tad too big, but not too bad overall. I think it works as a stand in until a better option arises. Now to find my Platinum Grimlock's box. Thanks for the tip, I think I have some Tamiya Gunmetal in my box of Gundam paint. I gave him the blades that came with Summanus. They are probably shorter and would look better, though I don't have FOC Grimlocks to compare personally. Is there a good flight stand to use for Caelus? I want to display these in Dino mode. I use Obitsu's Clear Multistands - Hobby Link Japan. They're pretty inexpensive, come with 3-9 possible height configurations, and are decently sturdy. The only bad part is that HLJ currently has these stands on back order. I use Tamashii Act 5 stands. Some times they're frustrating but most of the time they're great. 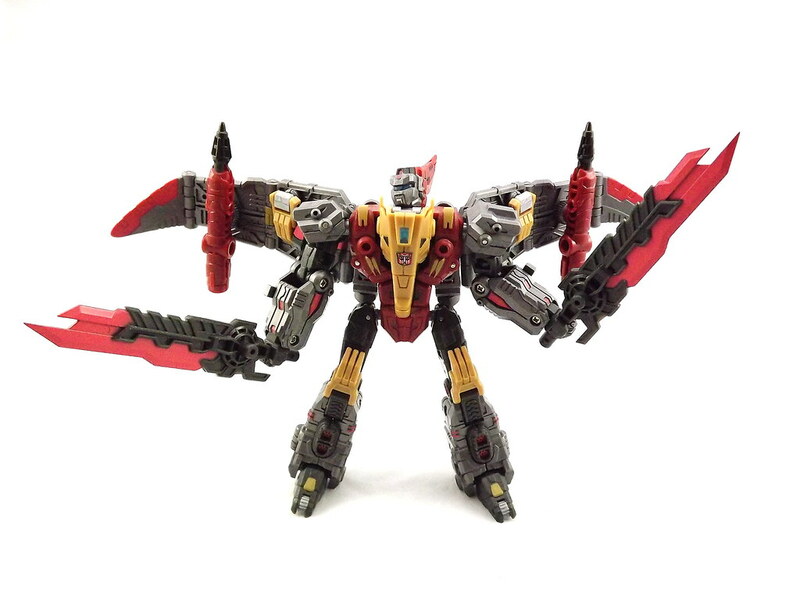 I have a loose but in near new condition, opened/displayed, Planet X PX-02 Caelus for sale. Comes with all papers, box but not box insert. $60 shipped within the 48 U.S. States. Shipping fees apply to Hawaii, Alaska, and international. My Caelus is complete with all accessories, manual, character card, box and box insert all in great shape. Was only transformed once to dinosaur mode then back to robot mode. $60 shipped anywhere within the 48 U.S. states only. 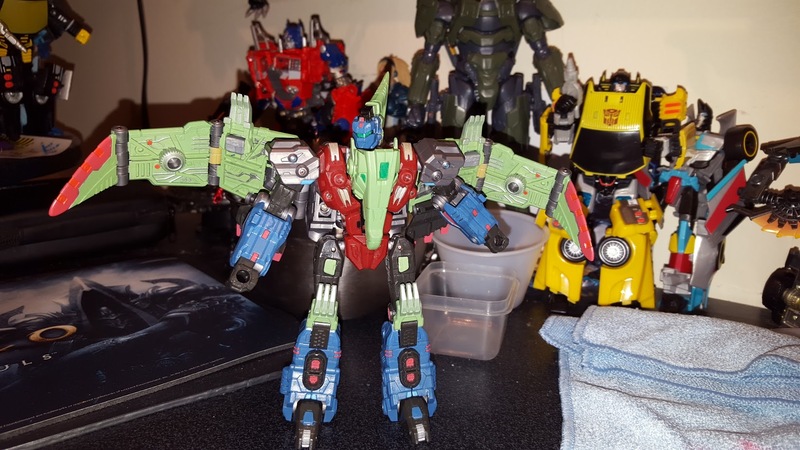 I love him, he's a great figure, but I can't afford to collect multiple sets of Dinobots and I'm more invested in the FansProject line as I've got all three of those bots compared to just the one Planet X bot. I'm having difficulty getting his arms to tab into his legs in alt mode. Any suggestions? 2/5 g2 foc dinos done. heres swoop. gonna keep red and gray as the unifying colors for all the lesser dinos cept grim. 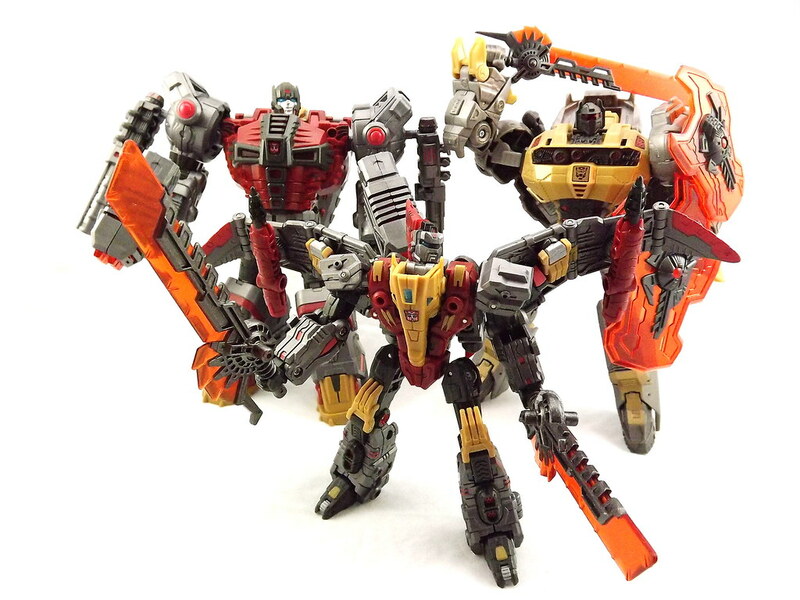 Am I the only one who thinks that Caelus' scale is too small compare to other PX's Dinobots? I personally think he's just right as he was fairly diminutive in the game as well. And if you think about it his alt mode SHOULD be small when compared to some of the larger bots. As a whole the team looks great on a shelf. Perhaps not 100% spot-on scale wise, but frankly who cares. Good enough for government work IMHO.